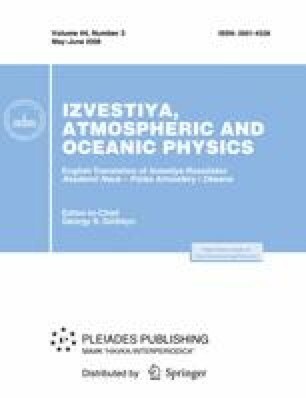 The paper considers a relation between equilibrium global warming at doubled carbon dioxide (climate sensitivity) and the distribution of clouds and relative humidity in 18 state-of-the-art climate models. There is a strong correlation among three indices: (1) model climate sensitivity, (2) mean cloud amount change due to global warming, and (3) the difference in cloud amount between the tropics and midlatitudes. In the simulation of the present-day current, models with high sensitivity produce smaller clouds amounts in the tropics and larger cloud amounts over midlatitude oceans than models with low sensitivity. The relative humidity in the tropics is smaller in models with high sensitivity than in models with low sensitivity. There is a similarity between vertical profiles of cloud amount and relative humidity under global warming and vertical profiles of the difference in these quantities averaged over the tropics and midlatitudes. Based on the correlations obtained and observations of cloud amount and relative humidity, an estimate is made of the sensitivity of a real climate system. Original Russian Text © E.M. Volodin, 2008, published in Izvestiya AN. Fizika Atmosfery i Okeana, 2008, Vol. 44, No. 3, pp. 311–323.